Pssst! You want to know the best way to make hard boiled eggs? Steam them! That’s right, forget about boiling the eggs, just steam them in a steamer basket. Some of the air from the hot steam permeates the egg shell making the egg more easy to peel. Now I love my tried and true method for cooking hard boiled eggs, mostly because I can space out on the timer and the eggs will still turn out fine, not green and overcooked. But sometimes they’re hard to peel. If I truly must have easy to peel eggs (for making deviled eggs or something else that requires beautiful peeled eggs), then I steam them, and pay attention to the timer. Even with perfectly fresh farm eggs, I’ve never had difficulty peeling a steamed egg. Watch the video on steaming hard boiled eggs! The steaming time will vary depending on the size of your eggs, how cold your eggs are to begin with, the altitude of your location, how vigorous the water is boiling, if your eggs are in a single layer or are stacked, and how soft or firm you like your hard cooked eggs. So you may need to experiment to find the right timing for your situation. A steamer basket is convenient, but not necessary. 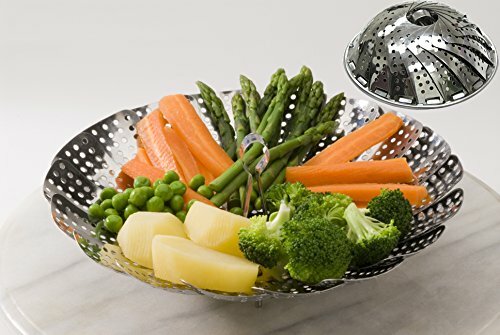 1 Prepare pot and steamer basket: If you are using a steamer basket, fill a saucepan with as much water as needed to reach the bottom of the steamer basket (about 1 inch or so). 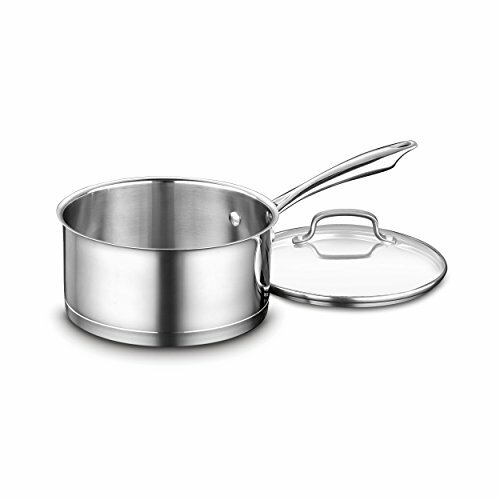 If you are not using a steamer basket, just fill the bottom of a saucepan with 1/2 inch of water. 2 Heat water to boiling, add eggs to pot: Heat the water on high heat until it is boiling and producing steam. Turn off the heat and gently place the eggs at the bottom of the steamer basket or the bottom of the pan. Turn the heat back on again to medium high, and cover the pot. This method works best if the eggs are in a single layer, but you can double them up as well, you'll just need to add more time to the steaming time. 3 Set your timer and steam the eggs: Set your timer for 6 minutes for soft boiled, 10 minutes for hard boiled with a still translucent and bright yolk, or 12-15 minutes for cooked-through hard boiled. If you have doubled up the eggs in the pan and they are not in a single layer, you may need to add a couple minutes or so to the cooking time for hard boiled. The size large eggs used in these photos were cooked to my satisfaction after 15 minutes when I cooked 6 in a single layer, and 17 minutes when I cooked 12 in the pan. Note that many things will influence the steaming time, including altitude and the size of the particular eggs you are using. I recommend removing one egg a couple minutes before you think it should be done, rinsing it with cold water, and breaking it open to see if it is done enough for you. 4 Remove eggs to a bowl of icy cold water: Remove eggs with a spoon to a bowl of cold water or ice water, or run cold water directly into the pan to cover the eggs and quickly cool them down. Hello! All photos and content are copyright protected. Please do not use our photos without prior written permission. If you wish to republish this recipe, please rewrite the recipe in your own unique words and link back to How to Steam Hard Boiled Eggs on Simply Recipes. Thank you! 18 medium eggs, big pot drop-in steamer basket (2 layers of eggs), 18 minutes – perfecto! They’re fresh eggs and I needed them to be easy to peel for Easter. Thank you! Thank you! Have been trying every recommended method even baking. This is by far the best! Love this. They came out perfect and tasty!! Thank you. Perfect hard boiled eggs both times I’ve used this recipe. Steaming the eggs is now my favorite way to cook them. I’ve also noticed that the shells peel off so much easier than my old way of cooking eggs. I was sceptical the first time I tried this. I have diabetes and need a quick protein and after steaming and peeling, I can keep this in the fridge. Quick and easy snack. Magic!! Awesome!! It works…shocking to see the eggs peel so easily. The best recipe in the world! 15 minute timing for the perfect yolk color. I’ve tried all the techniques on the interweb. All those boiling tricks just don’t work. this is the greatest thing since sliced bread! I have to admit, I was skeptical about this method but tried it anyhow. Nothing else had worked. I’m so glad I did. It actually worked with 1 day old fresh farm eggs! Anyone who has fresh eggs knows they are not easy to peel when boiled in water. I’m totally amazed! They peeled perfectly! Thank you! Hi Cinda, you are welcome! I’m so happy this technique worked for you. I just steamed 20 brown free range organic eggs, fresh from the grocery. Because I live at nearly 7,000 feet, I steamed them for 15 minutes, then tossed them ( literally tossed to crack the shells) into ice water until cooled. The shells just slid off them! Thanks so much!! Slightly confused, step 2 says turn burner off place steam basket in pan, turn burner back on. Why turn burner off turn burner back on? Hi Dianne, it’s so you have less chance of burning your hands with the hot steam as you gently put the eggs in the steamer basket. This is fabulous!! I am almost 76 years old. I have been cooking and making my own recipes since I was a little girl. At 17, I prepared a banquet for 200 diners. Yet I never realized about steaming eggs. I just soft “boiled ” one. It was terrific. I live at 5000 feet. I steamed it for 6 minutes. It was perfect. I’ll never “boil” eggs again. Will never go back to boiling again. 10 minutes was perfect for me; yolks were gooey and delicious. Shell came right off. Even after sometime in the fridge, the shells were easily pealed with no sticky membrane. Life changing! I eat hard boiled eggs every morning and I like to cook up a bunch and store them in the shells in the fridge to use as needed. Often I cook extra because I ruin a couple when I get frustrated with peeling. I have tried so many methods to fix this problem and none have worked.. except this one… perfect every time. I just steamed a dozen eggs that are only one day old – shells peeled off no problems, I will never boil another egg. Was stunned at how much easier they are to peel. Will never boil again, have steamed the last five batches, perfect every time.